In short, Scrumptious Pantry wanted to get into Whole Foods. After the manufacturer talked to the national buyer, the comment was that the European design wouldn’t cut it on the American shelves. This brand is all about connecting the consumer with the farmer that grew the ingredients of the product. 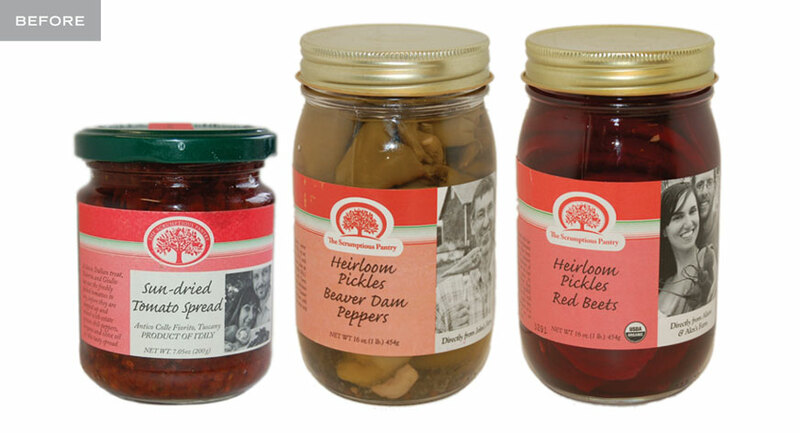 They only use Heirloom vegetables and work with farmers that preserve those organic vegetable varieties. Whole Foods did not think that the existing packaging accurately communicated this very important message and didn’t think that the package would do well in a mass market retail environment. 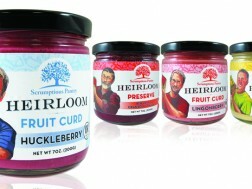 Illustrations of the actual farmers were chosen to allude to a homemade feel and provide an element of fun on the package. It not only serves as a product identifier, but provides a face for the shopper to connect with without using the sometimes uncooperative or nonphotogenic actual farmers. 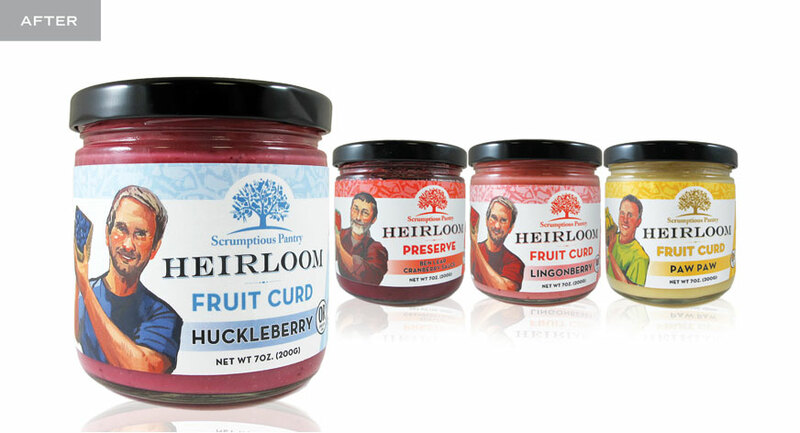 The new label designs are easily reformatted for use across the entire Scrumptious Pantry line of products. A jar, bottle, bag, box or tag… these elements are transferred without losing brand equity or impact. The new look was wildly accepted by Whole Foods and Scrumptious Pantry got their products into the Fall 2013 shelf line up… with orders for additional products in negotiation for the following quarters. The new labels will be seen in all existing boutique retailers and are receiving positive feedback from store owners as prototypes are shown. The retail shelf is a level playing field. It’s the players that show off their talents and unique differences that win the attention of the consumer.